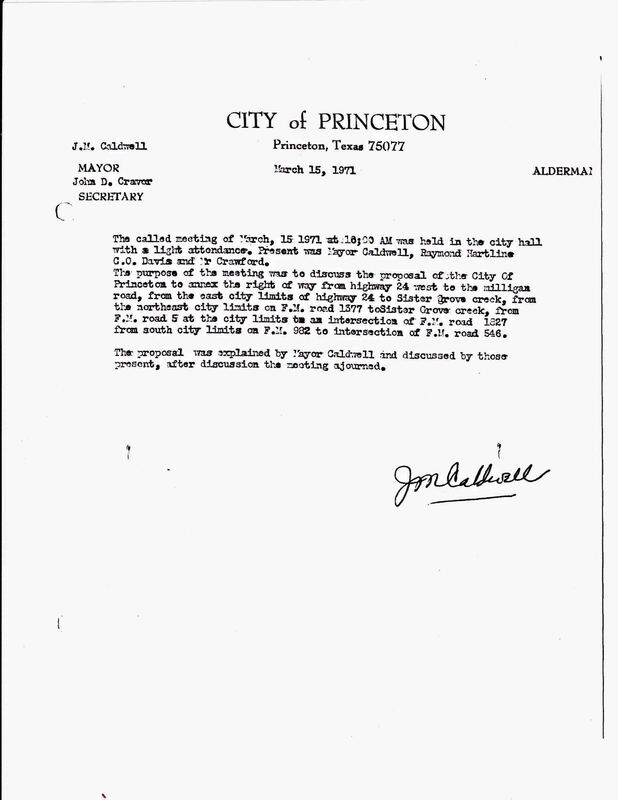 The State of Texas vs. Princeton, TX is a valuable study of democracy-in-action for educators of high school and college students. 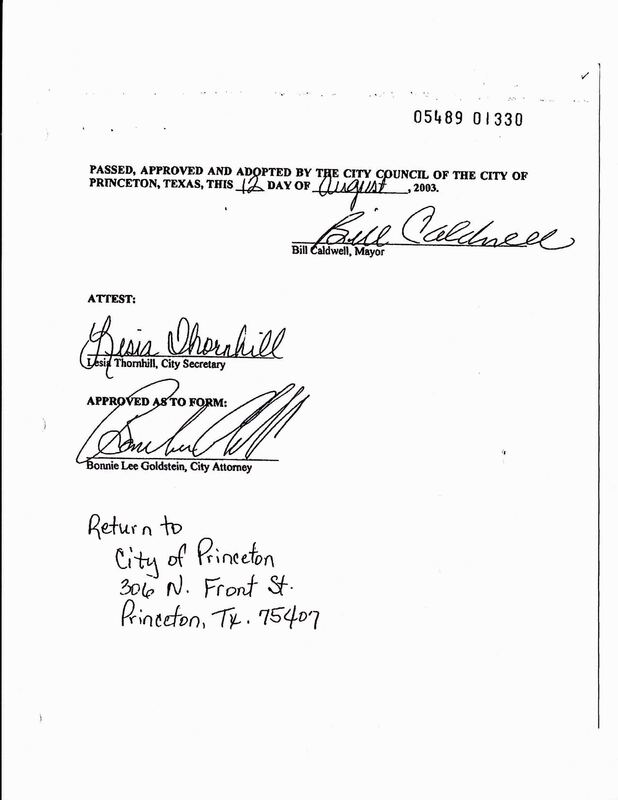 At the end of 2003, the City of Princeton moved its south city limit sign 5 miles down FM 982. 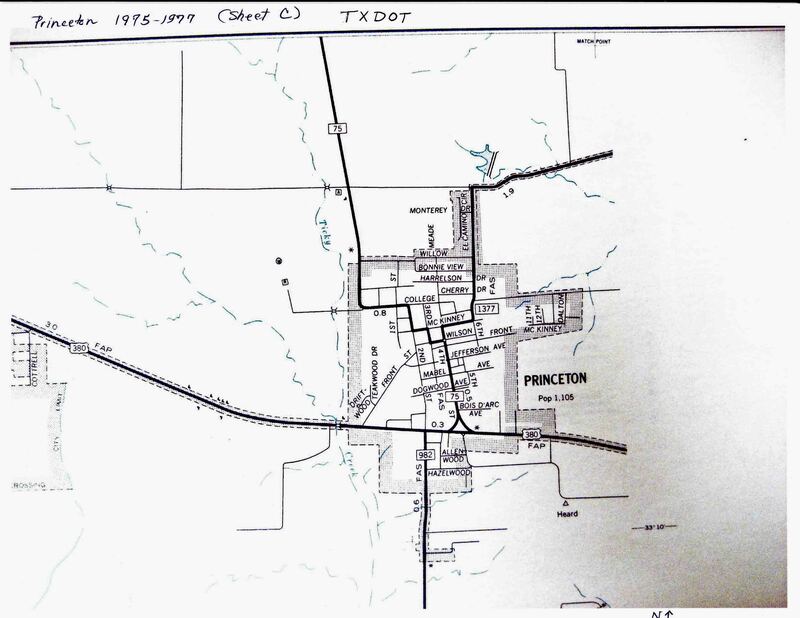 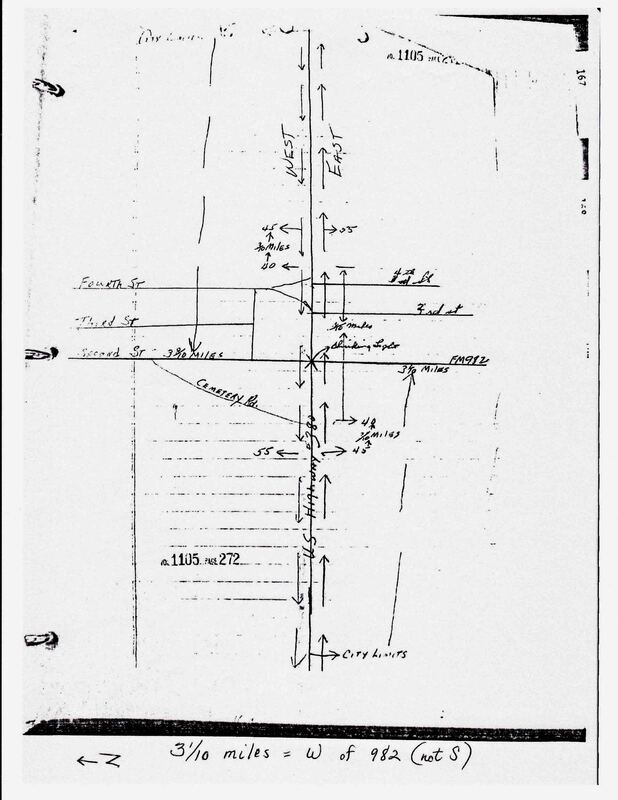 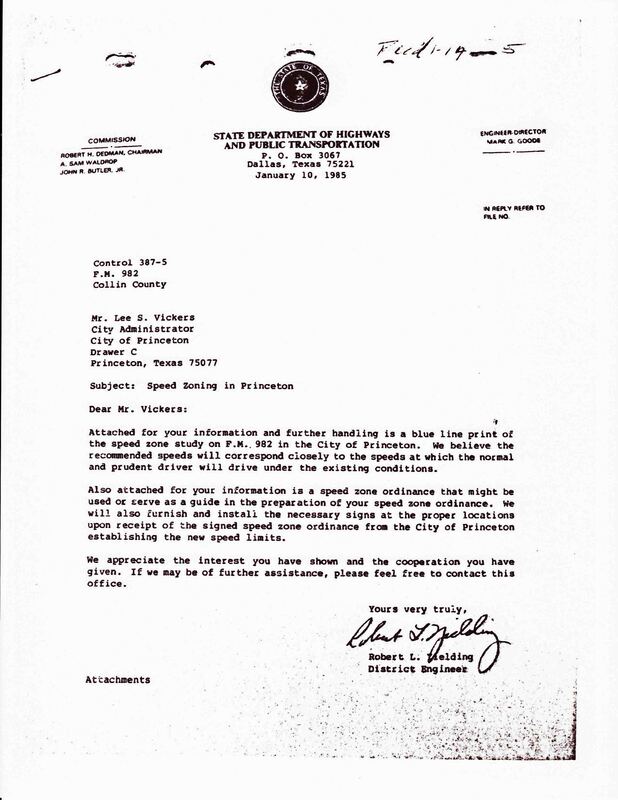 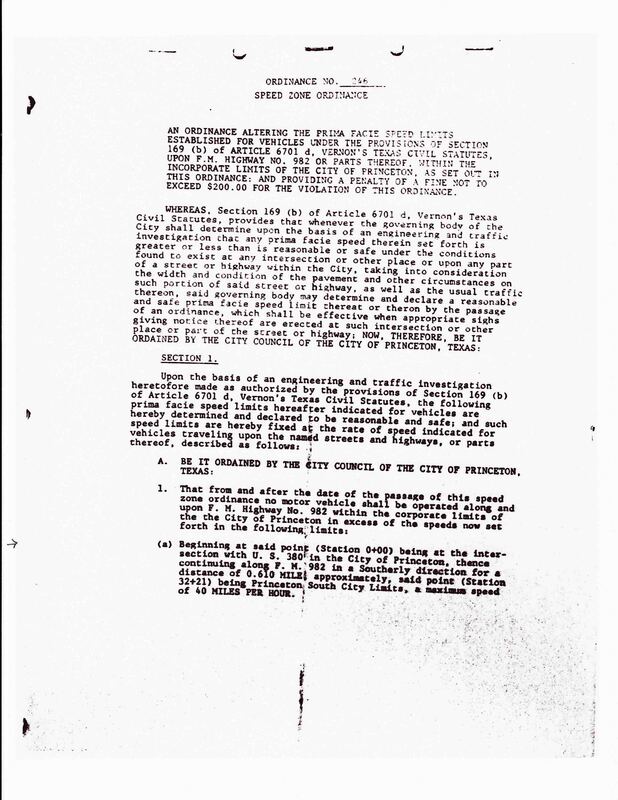 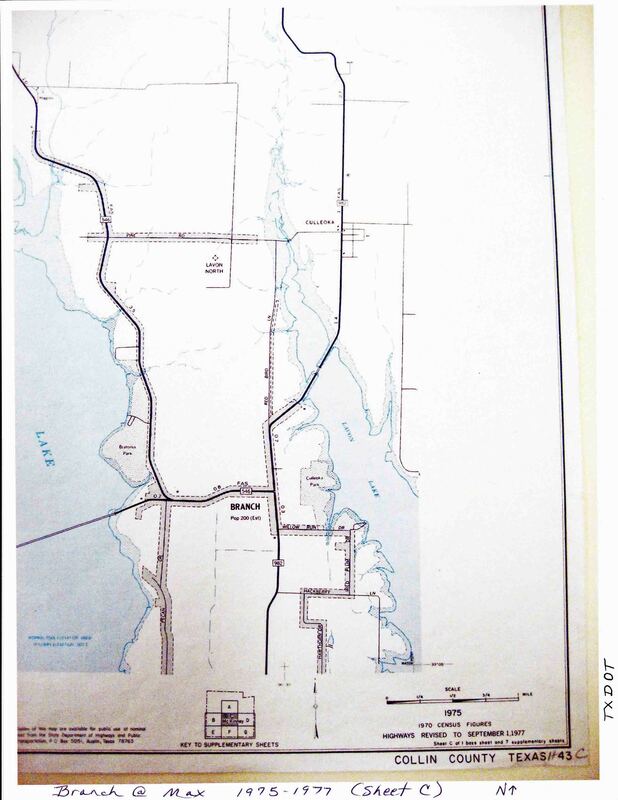 Princeton asserted it had owned this stretch since January of 1971, but that was impossible, because the City of Branch had owned part of this same road for nearly 6 years from 1971 to 1977. 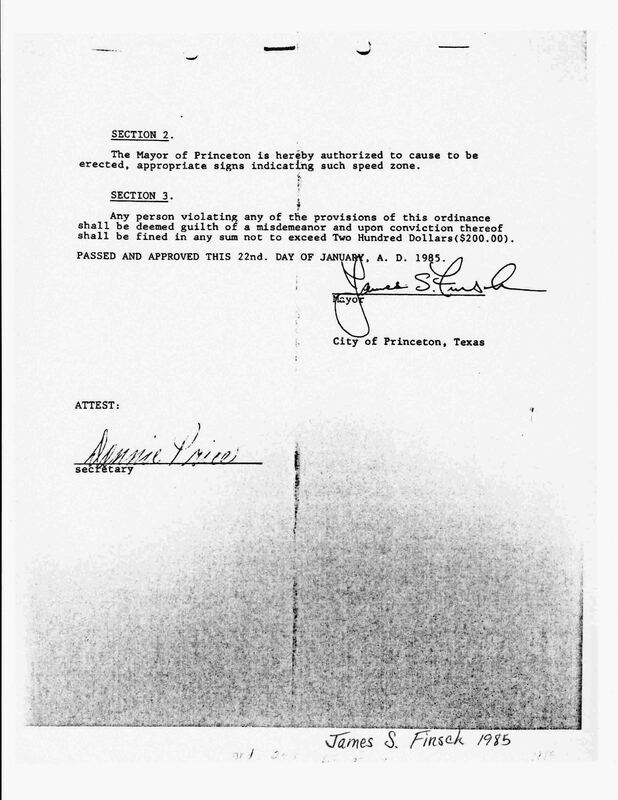 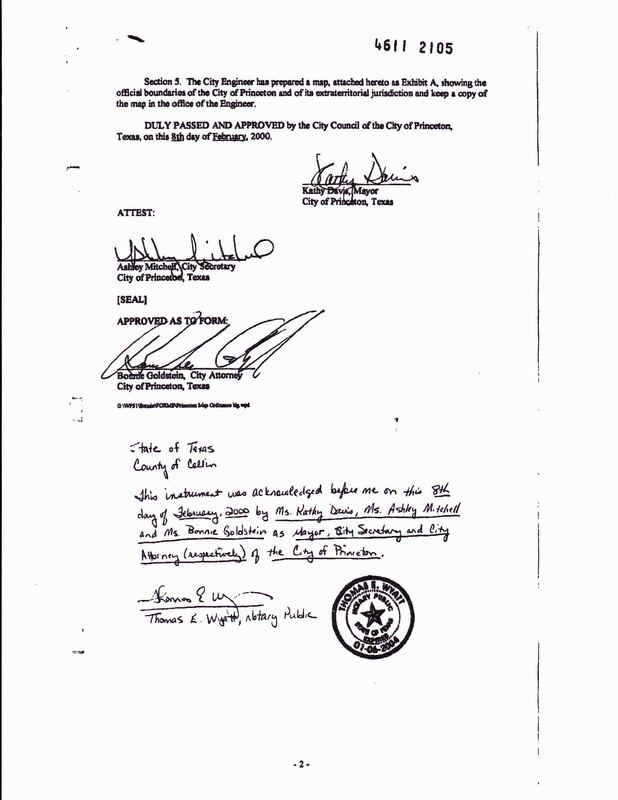 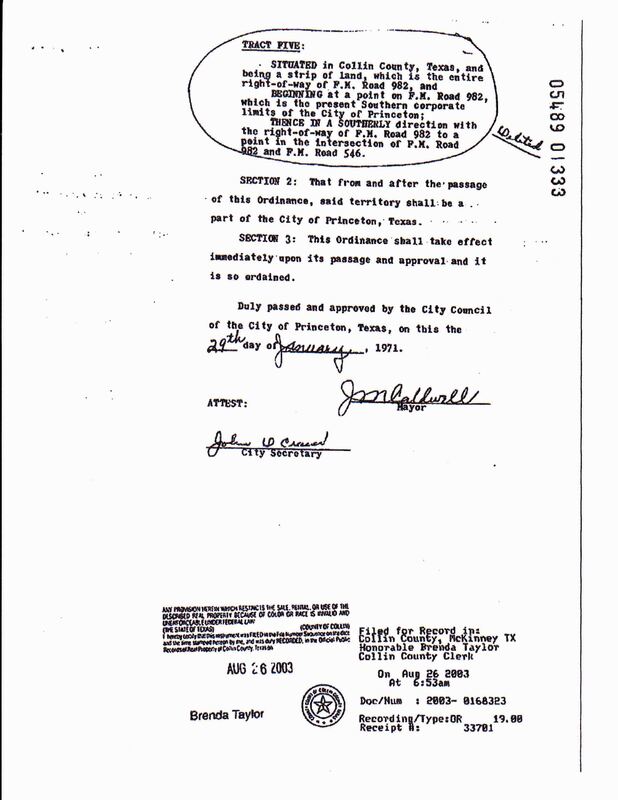 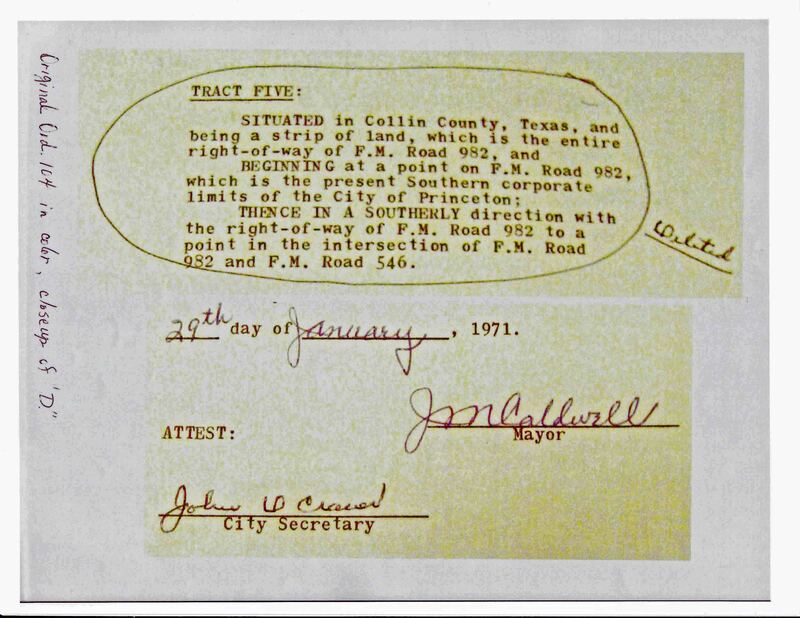 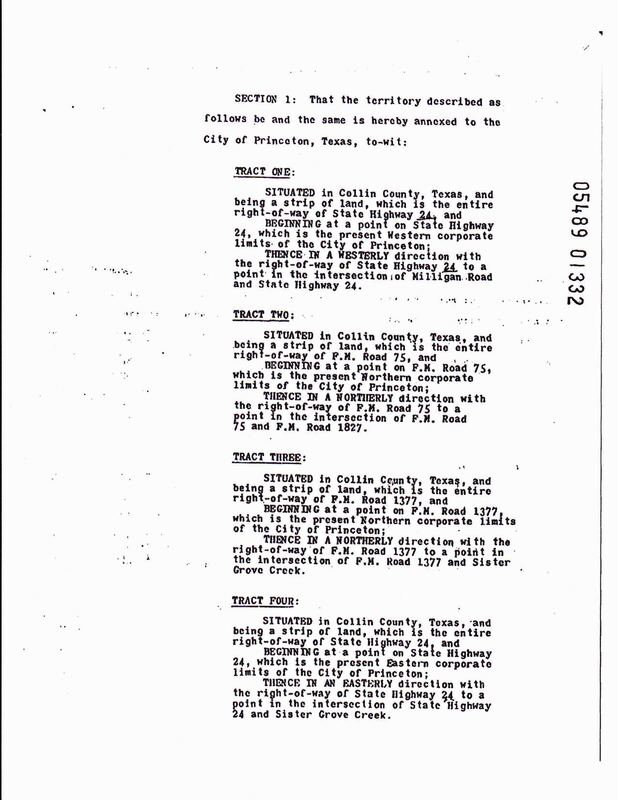 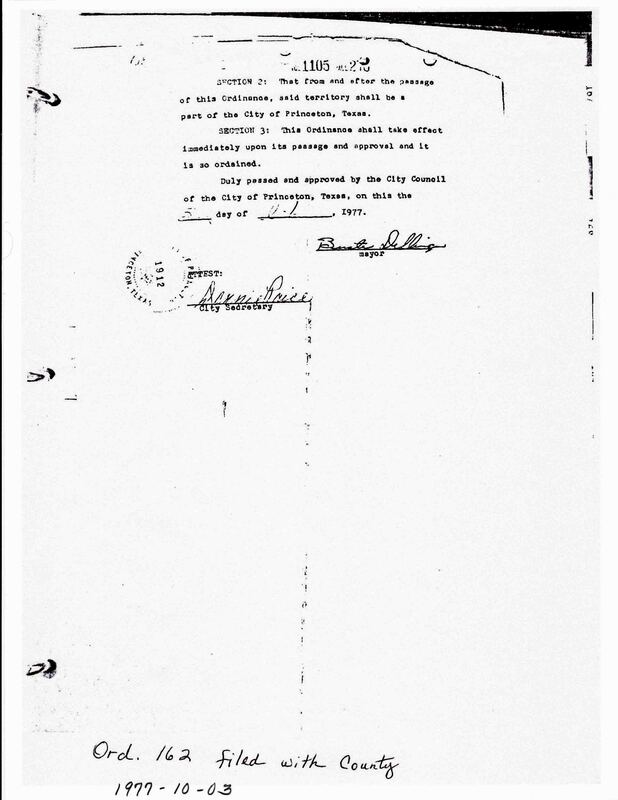 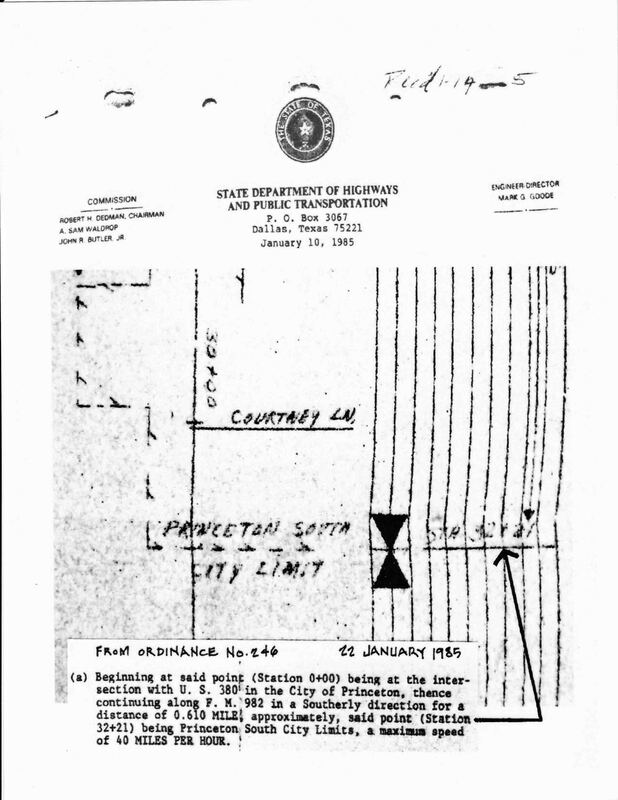 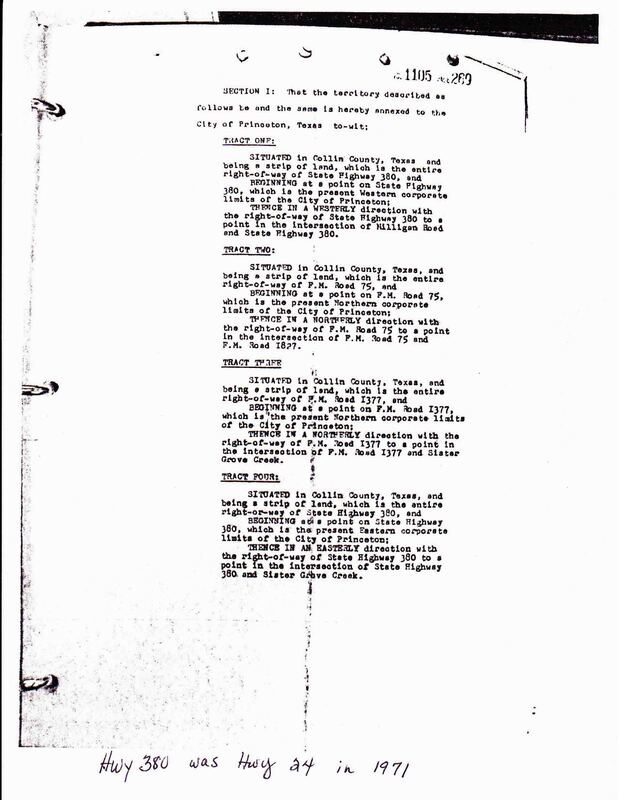 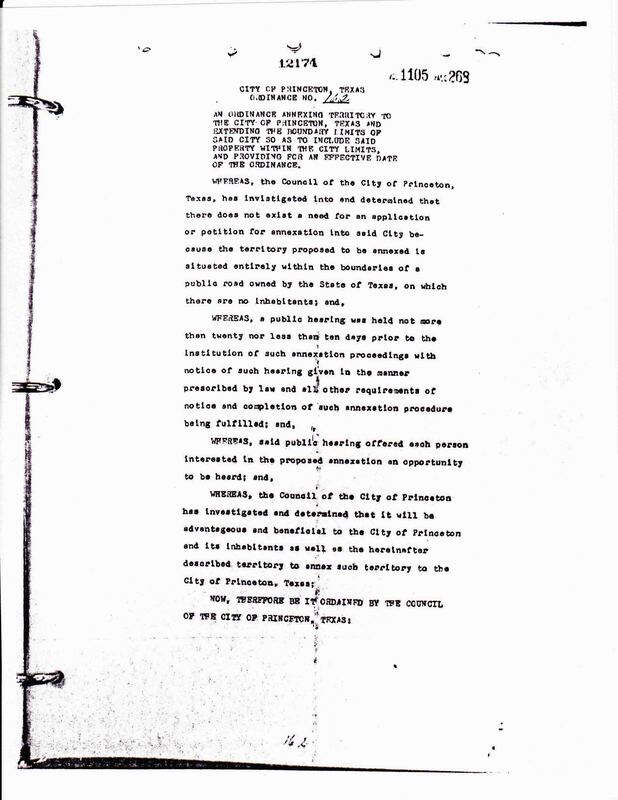 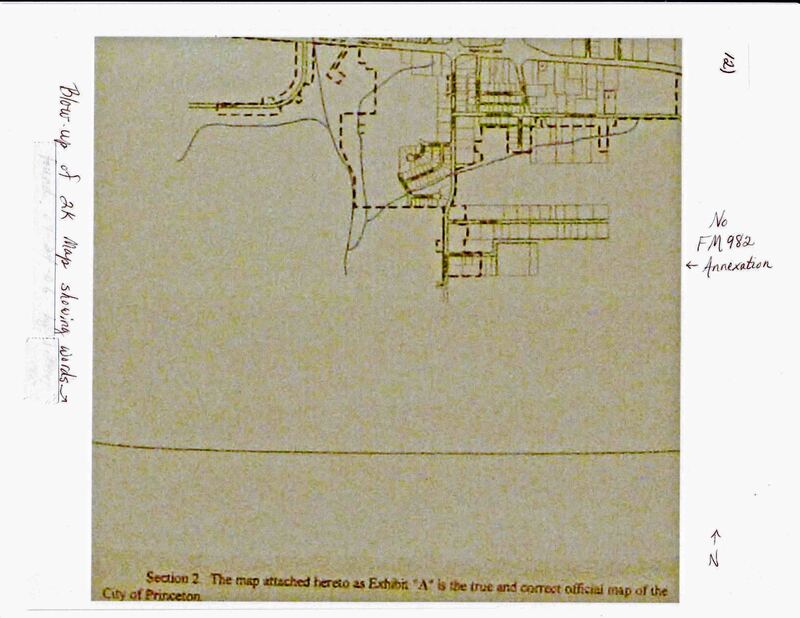 In January 2004, Collin County landowners began collecting evidence from Princeton city records and county archives. 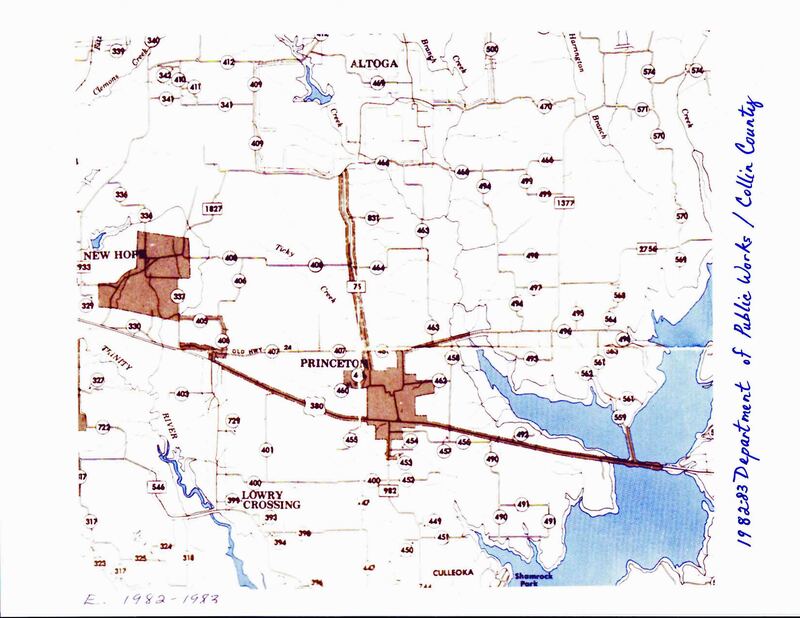 Records over 32 years, from 1971 to 2003, proved that Princeton had never owned the extra 5 miles of FM 982. 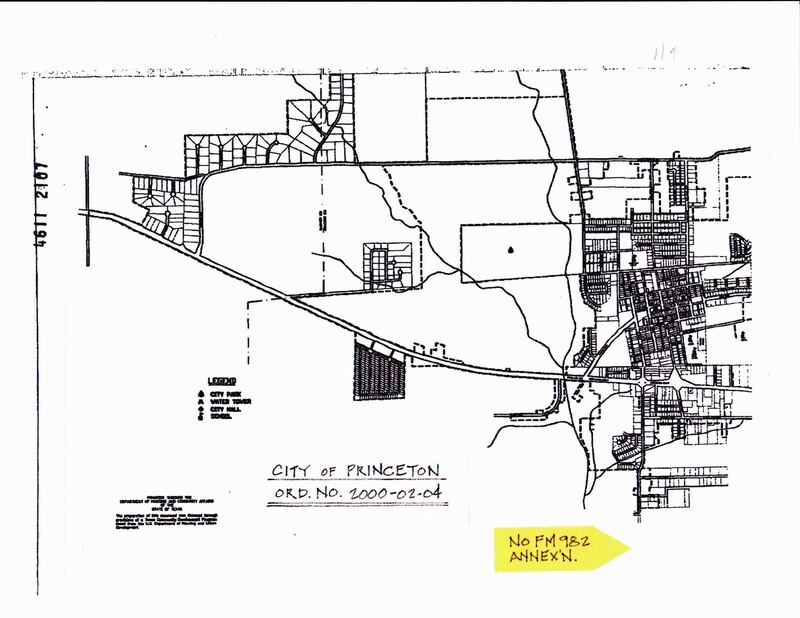 In 2006, landowners presented their findings to the Princeton mayor and city council, but were ignored. 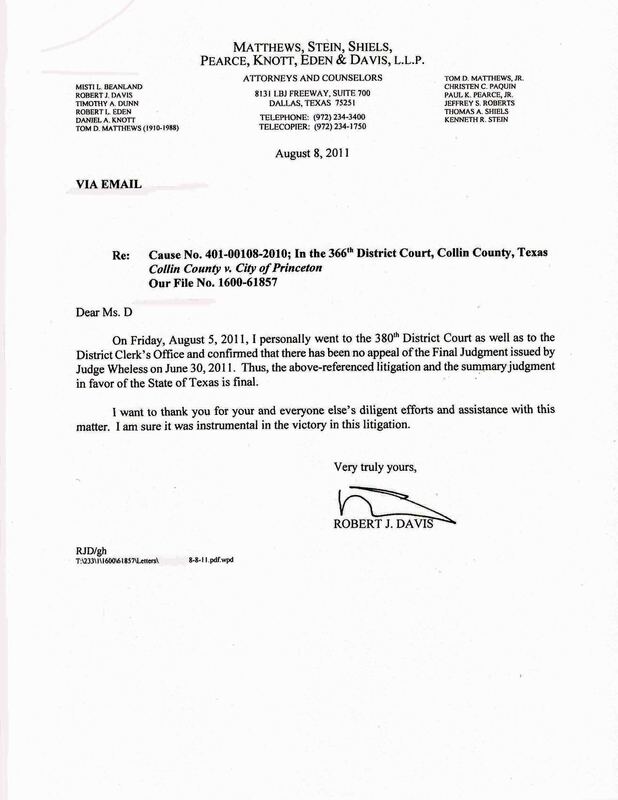 They appealed to the Texas Attorney General, who referred them back to the Collin County District Attorney (DA). 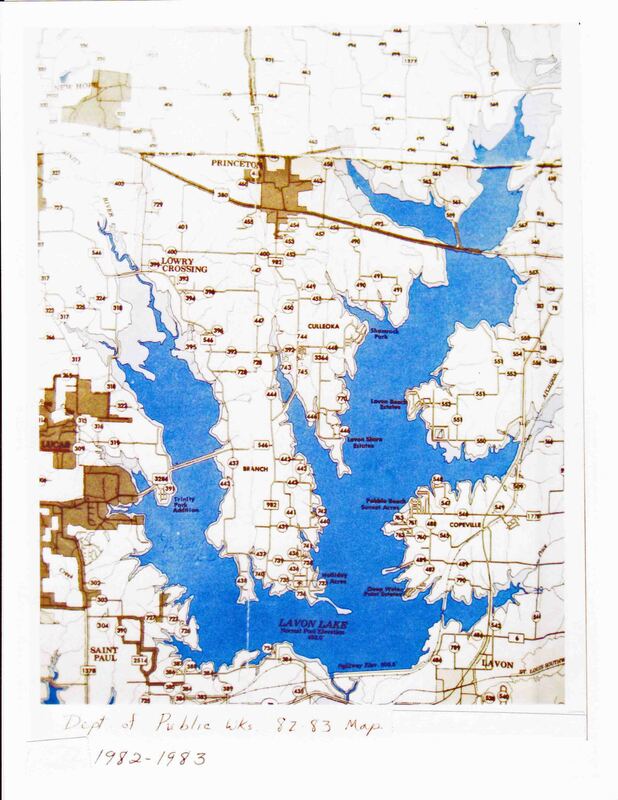 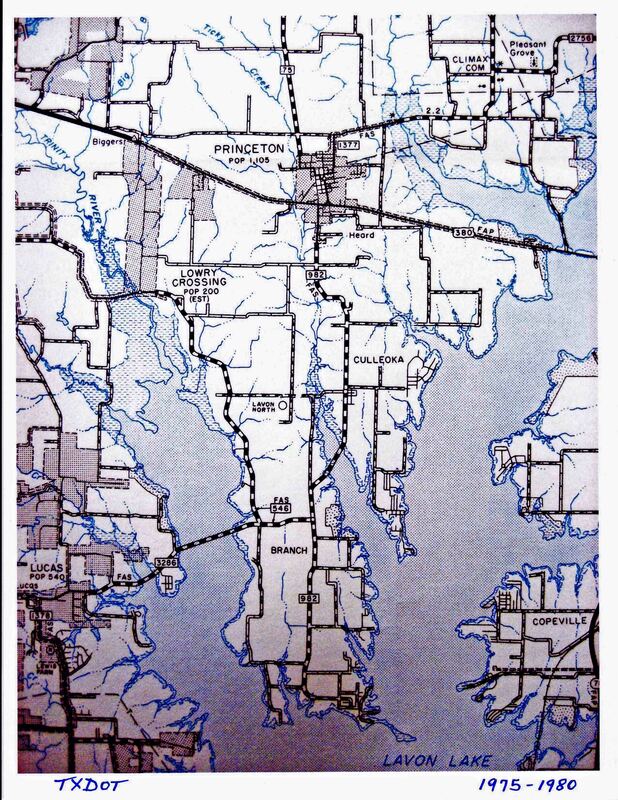 The landowners group grew to ~61 members who owned ~1,000 acres by Lake Lavon. 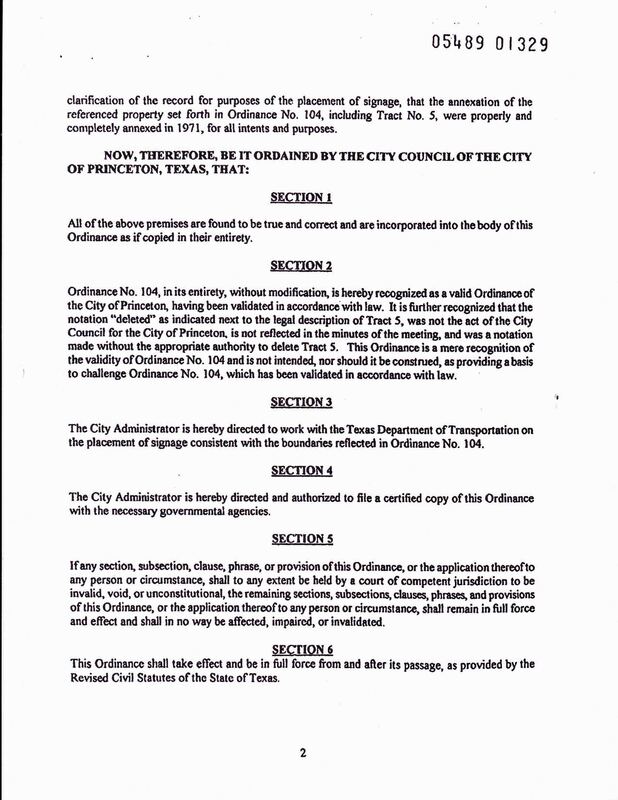 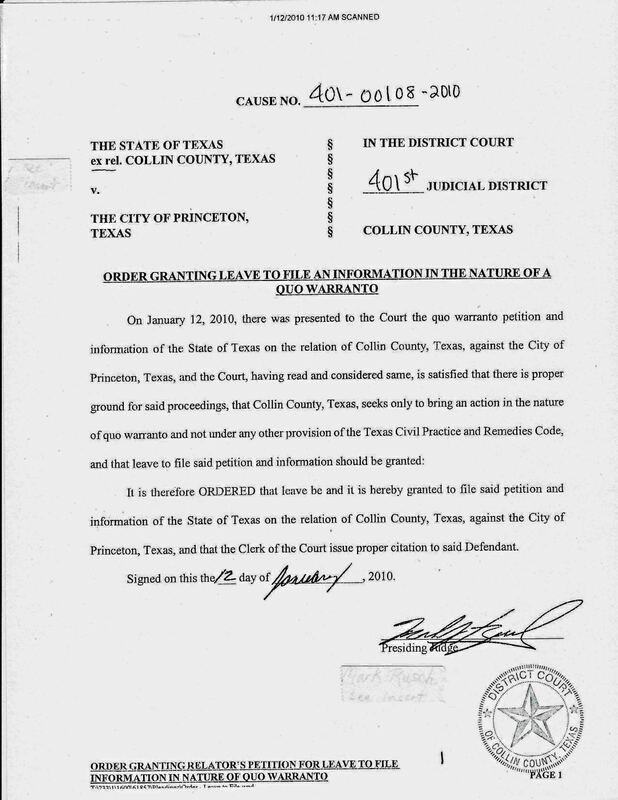 From 2006 to 2009, the DA showed Princeton that it had violated Texas law with its retroactive strip annexation, but Princeton did not agree. 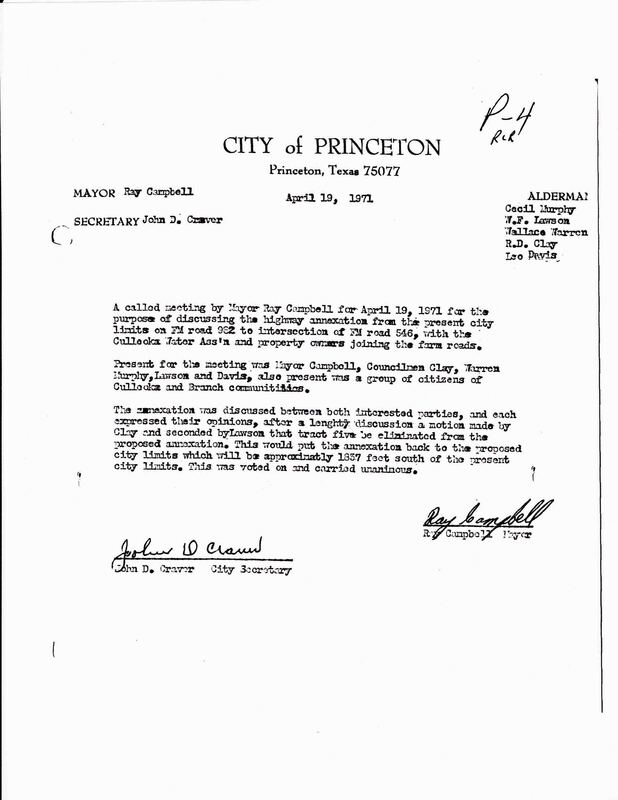 On January 12, 2010, the DA filed its case against Princeton in the 401st District Court. 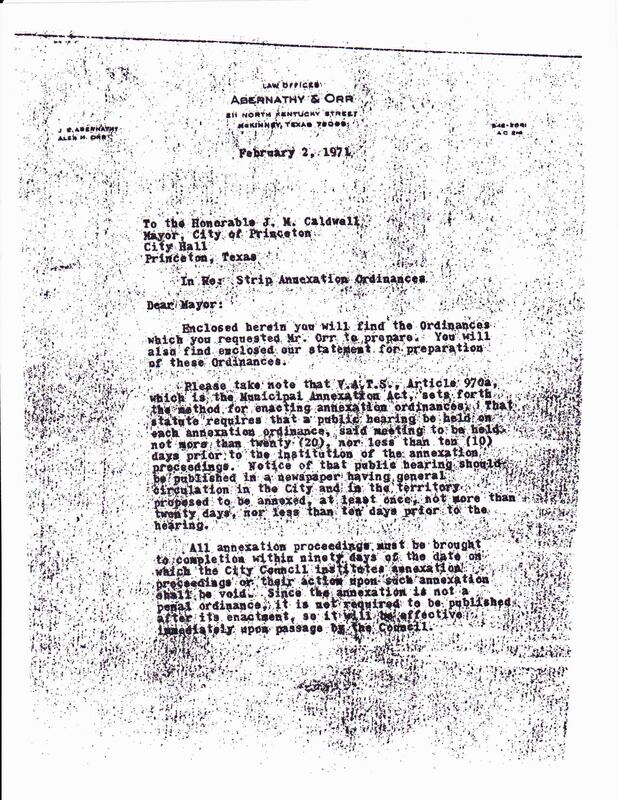 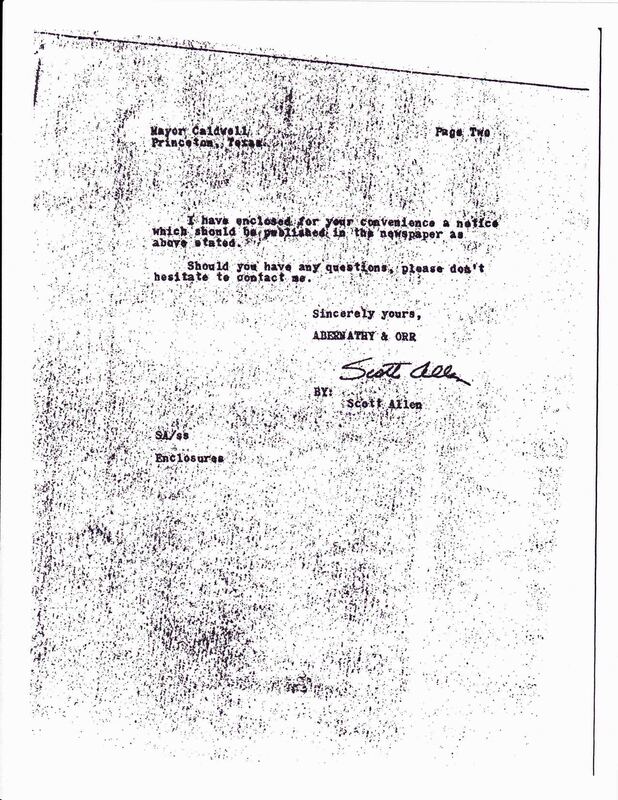 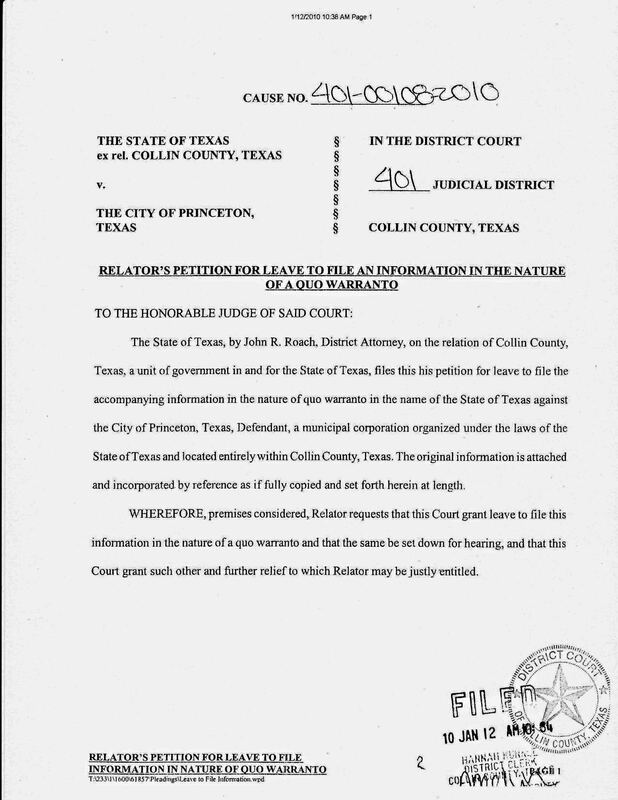 The case was titled "The State of Texas ex rel. 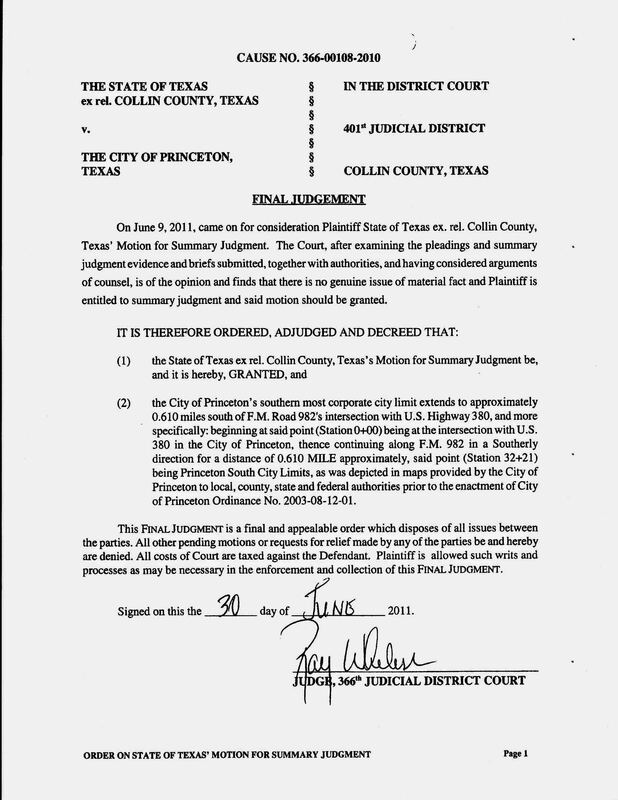 Collin County, Texas vs. 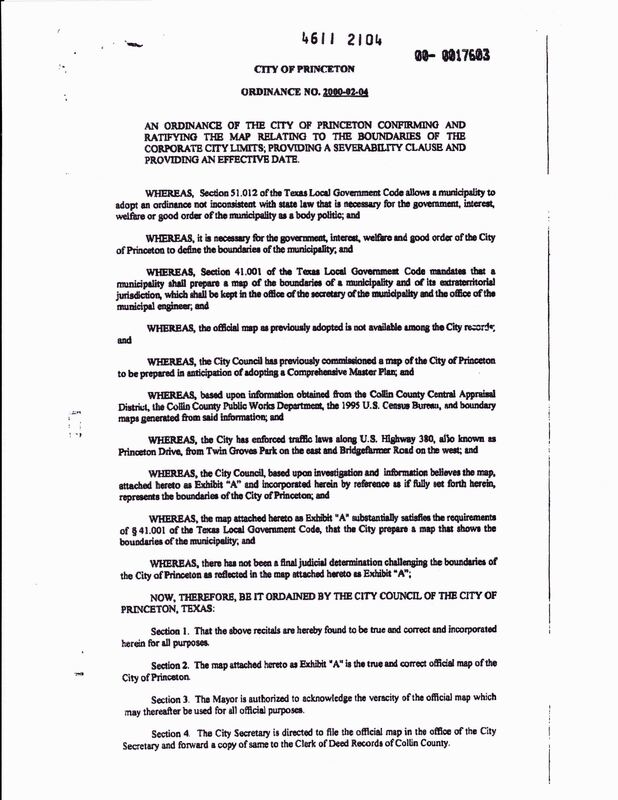 The City of Princeton, Texas, No. 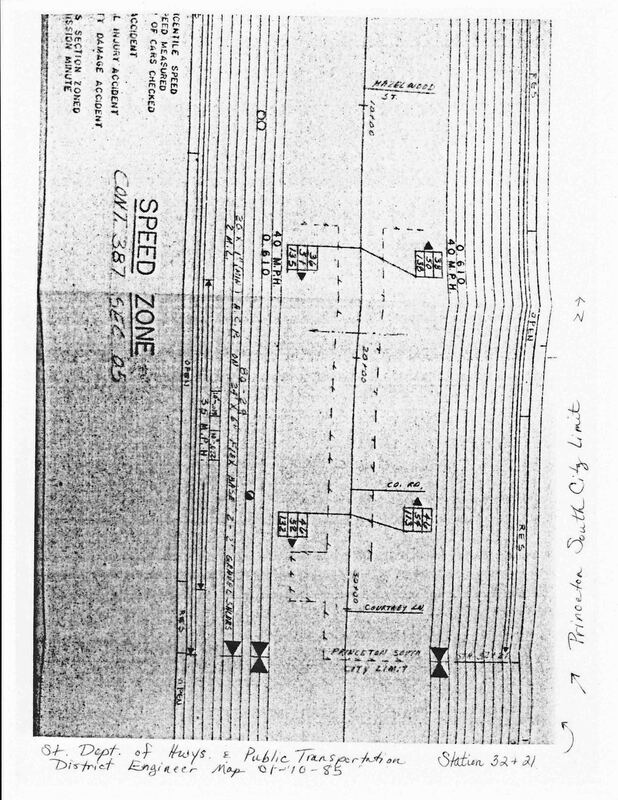 401-00108-2010." 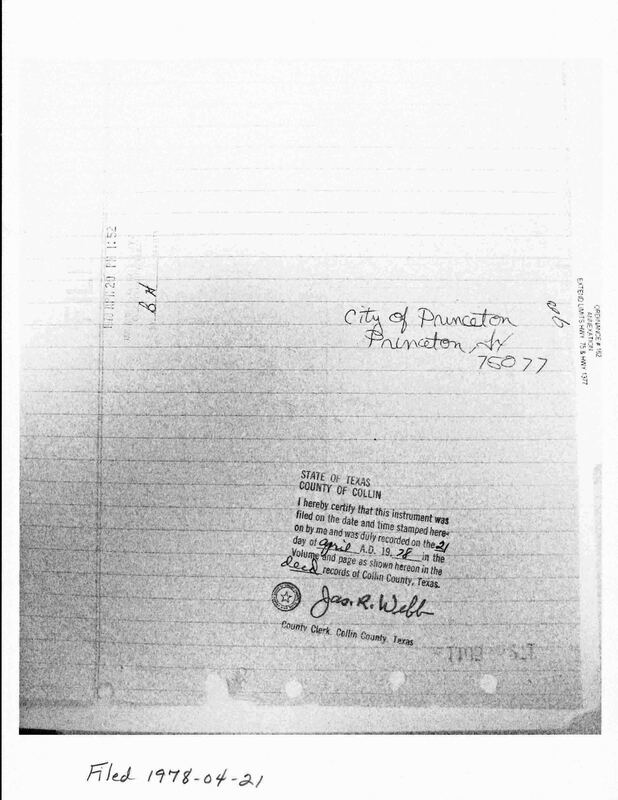 When the case was moved to the 366th District Court, the title remained the same, but the number was changed to "366-00108-2010." 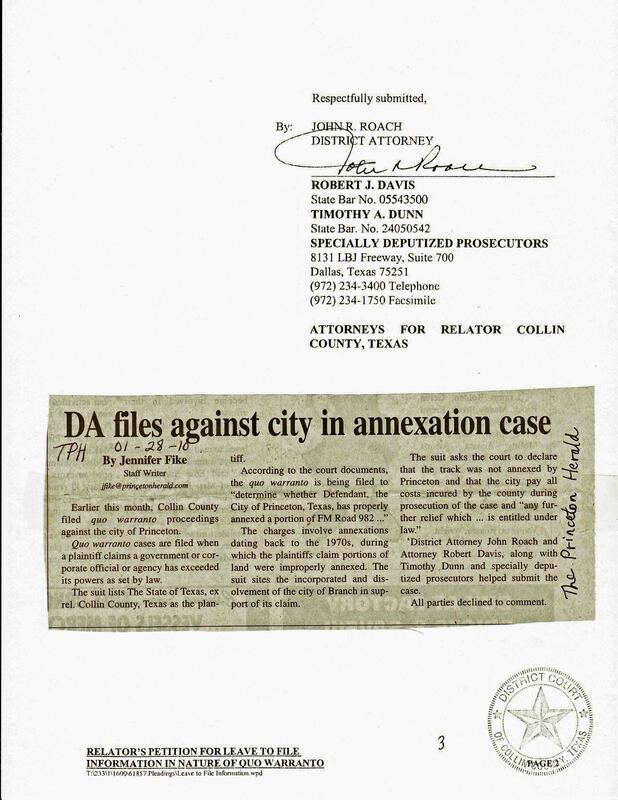 The case file is open to the public in the Collin County courthouse in McKinney, Texas. 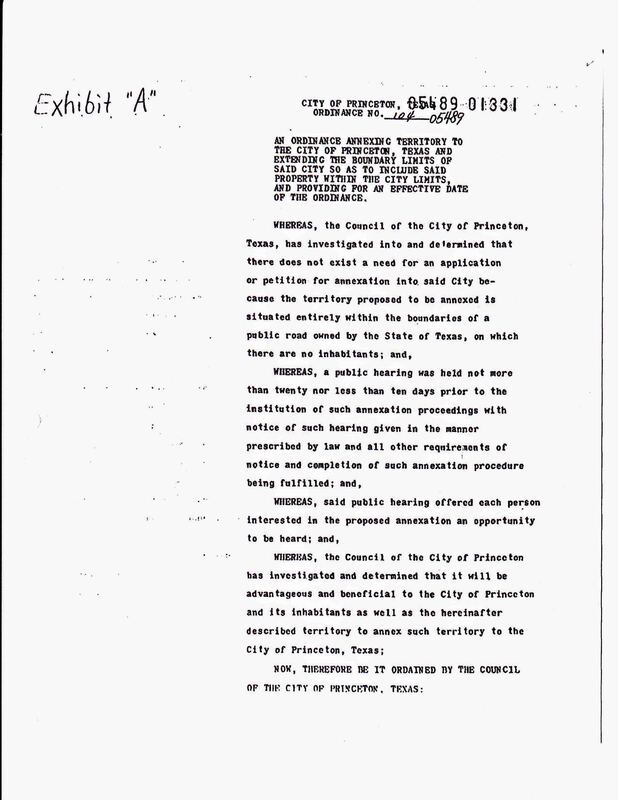 Education is a key ingredient of a democracy, because learning how to do effective research can help you find justice.